VIDEO: Give Up the Keys, Grandpa! 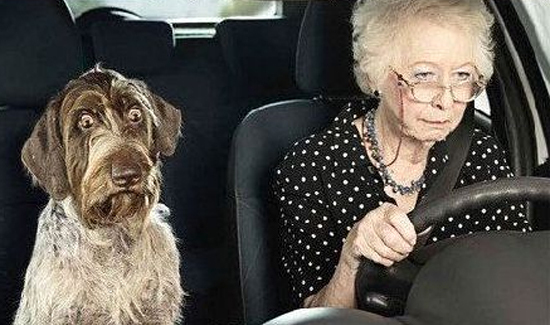 It’s always a tricky line to walk when discussing the elderly and driving privileges. On the one hand, the ability to drive to the grocery store or anywhere else is one of the only freedoms that very old people still have. On the other, as addressed so well in the “Grey Dawn” episode of “South Park,” old people that can’t see or hear very well with foot tremors and other problems are a deadly threat in terms of public safety. It’s not uncommon to hear about a 90-year-old person losing control of a vehicle and killing several and injuring scores of bystanders. Thankfully, the scene at a Wisconsin Piggly Wiggly’s parking lot involved no serious damage to people. The other cars in the parking lot are a different story entirely. A 92-year-old man managed to crash into 9 different cars at impressive speeds when trying to back out of a parking spot. “I can tell you in 23 years of law enforcement, I’ve never seen anything like this,” Mayville Police Chief Christopher MacNeill told a local ABC affiliate. According to ABC, the driver won’t be cited. What looks like heavy-duty parking lot rage was actually just a panicked old man whose foot was stuck on the accelerator—that’s his story anyway. Don’t Miss One More Issue!